Discover your key core values? We guarantee 100% privacy and never share data with any third parties. 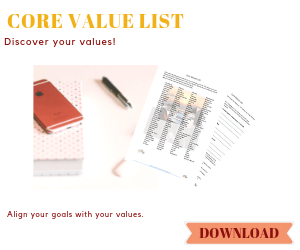 Enter your email below to receive the 140 Core Value list + weekly tips to help you reach your goals.